To Demand Change or to Create Solutions for Change? One major difference that exists within the proposal of an Unconditional Basic Income to every individual and the Living Income Guaranteed, is that Basic Income focuses on Demanding the right to life, that is: demanding to the current government within the current system as it currently exists to provide the money – which we already give in the form of taxes – as a basic income, and that’s it. 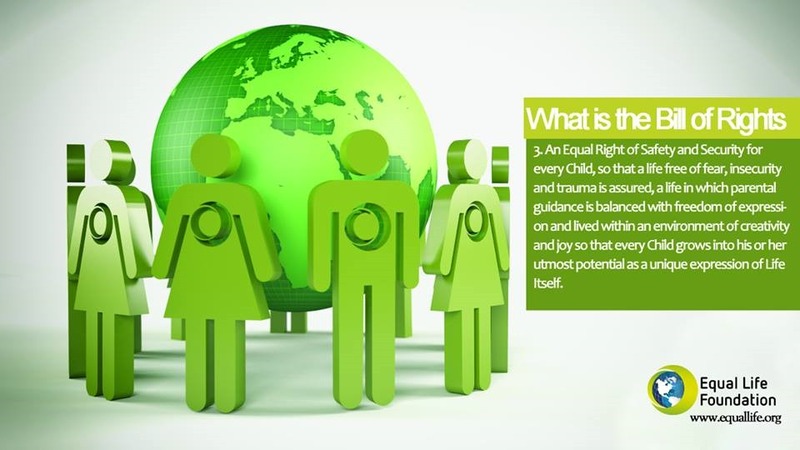 This elemental mechanism overlooks the necessity to address the structural problems that the system is founded upon, such as the lack of structures and mechanisms in which the profits that are usually amassed only by a few in our societies are given back to the society in a sustainable and supportive manner. This means that the sheer provision of a basic income as in ‘giving free money to people’ can become a potential inflationary bubble if further changes in the structure of the system are not addressed and changed accordingly. The reason why the definition of Basic Income given by Barb Jacobson from the Basic Income UK organization as “Basic Income is a regular payment made to everybody unconditionally…. and that’s it” is mostly either feared or not taken seriously, is because it can be understood as yet another bubble, another source of crisis and stagnation if such money is used to only consume and there’s no contribution from the people back to the system in the form of work/participation in it – and this ‘work’ is not only manufacturing products, but many other jobs that machines can’t take on, such as the necessity for educators in all fields related to points that I will be discussing later. If people have no incentive to work – because everyone’s granted a basic income regardless of working or not – then further demand of products will exist without the workforce or means to sustain and replenish; this means that prices can hike, production would fall, consumption would reign and there would be an overall social regression if people get the idea that Basic Income implies ‘I just get this money and that’s it’ without giving any further attention to seeing the actual structural problems that exist within the current form of crony corporate capitalism we’re living in and how we have all collectively participated in its creation and formation to the point where as we all know: most of the wealth is in the hands of a few, and we only continue to accept a lesser quality of reality without understanding how we can fund our right to life in a sustainable manner – yet. Basic Income as it is currently being proposed can only make sense in an ideal society where all of us understand that the current nature of this system that we usually complain about and ‘demand changes’ from, is in fact the sheer mirror of ourselves that have allowed only a few individuals to do the actual work, to set the actual systems that make money only for them – and the majority of the population are just used as work force or bait to further their own interests, painting it all with the idea of growth and progress – this is how it works. But we’re actually not ‘outside’ of that equation as many would point out, we are actually part of it, just not in an equally empowered position, which is why we can’t blame others for something we are actively participating in, where we’ve become the life force of the system as it exists – whether we make it function for our collective well being or not is what’s in question here – and we know it’s mostly not so. Should we blame ‘the Elite’ for actually making the system work, making their business, banks and enterprises create the results thy expected – even if it’s only for themselves? No, what they have done is in fact what we All could have done if we had have the strength, the commitment, the decision, the vision, the education, the relationships, the patience to make our personal livelihood work in an optimal way. I agree, part of this structural violence implies only a few ‘at the top’ have had access to such important foundation, and this is why we also require to empower us all equally to no longer be defined by birth to be either rich, middle class or poor – this is what we must immediately give direction to, and it is actually possible. Now, what we’re saying in the Living Income Guaranteed model is first of all, realizing that if we Demand change to the current political powers: it won’t work, it won’t happen. No current ‘government’ – as it currently exists mostly guarding the interests of a minority – sees the benefit of providing money to people to simply consume, buy and not have any motive to support back/give back to the economy in any way to make the system functional as it is now – this is considering that the system does work, it just doesn’t work to benefit everyone. This premise according to what Basic Income is as a ‘regular unconditional payment given to all’ misses out a key aspect of our ability to decide how things can work to benefit everyone – this includes understanding what Real Democracy implies as our individual responsibility and participation in the system to make informed decisions, to become active participants in how we manage our resources, our lives and also, how we manage our own businesses, how we participate in society and applying a couple of values and principles that are currently non-existent in our society, such as self-responsibility, integrity and the consideration of how I can benefit everyone else including myself – these principles in our day to day living participation ‘in the system’ haven’t yet been applied by each one of us as such. From the beginning of our history as humanity, we’ve always depended on a few ‘at the top’ making the decisions that we’ve believed ourselves to not be ready or capable of making for ourselves, which has turned into a fitting excuse to start creating solutions and stop demanding them. We can also address the systems through which we all have enabled such complacency. Let’s look at the indoctrination through the Educational System where we already integrate the belief that ‘The Government’ is a group of individuals that take care of us all, no different to the belief-system existent in all major religions. Then we have the overall lack of realization and understanding that it is each one of us individually that must take care of our own lives, that must learn to develop common sense as to make effective decisions and endeavors as part of our own sustenance and further development, while considering everyone else as an equal participant of such equation. The government is and should have always been only a managerial system that we can all have access to and actively participate in, and instead we have absolutely made it into the ‘monster’ we’re now even fearing because we have in fact not taken on responsibility to apply these principles to our own lives and to our participation in the decisions made to manage our lives: none of that is considered at all as our civil duty yet. We also haven’t realized that focusing on that which only works for ‘me-myself-I’ is what has led us to the general acceptance that self-interest is ‘the way of the king’ and as such, anyone that desires such power and position, has to ignore and deliberately abuse others in order to win. This is the mentality that we are all participating in humanity, which is why it is no different to how the minority of ‘winners’ in this system live by and for – check for yourself, how often we have these same thinking patterns in relation to wanting to win, wanting to have all the power, have little to no responsibility and accountability, enjoy life…. and nevermind who gets affected by it. The rest of the distractions come in the form of entertainment and media industries that we constantly consume from – these are in charge of continuously impulsing more diversion, new attractions, new situations to focus on to prevent anyone from developing a genuine interest in politics, in how the economic system operates, how the law and money system operates, seeing whether what we learn in school is optimal to develop self-leadership and accountability in individuals, seeing whether the family structure is actually supportive for the development of children and if parents are effectively educated or have sufficient tools with which support a new individual coming into this world – nevermind the rest of the points such as questioning why we haven’t granted each other the right to life from from birth and why the rest of our human living rights are not being provided to each individual as they should. All of these points are in fact a massive task that cannot at all and could not ever have been handled only by a ‘few representatives’ in what we call ‘government,’ nor is merely ‘choosing the right one’ a solution to it either – as we should have seen and realized this long ago, but it seems we still impose religious ideas of a politician being a form of a ‘savior’ that will come and clean up our mess, once again abdicating responsibility and hoping that ‘this one will be different’ when all we’ve seen is the repetition of the same patterns over and over again, and that’s thanks to us too. We have translated the idea of government to a quasi-religious belief system and transformed it into an omnipotent organization that can take care and control of our lives and apparently have our best interests at heart. Well, it’s quite obvious that is not so, but it is not them to blame, it’s actually ourselves that haven’t taken the matters in our own hands, and this is where we have to realize that we haven’t even yet collectively decided to grant each other the right to life and cooperate in making it a sustainable guarantee in this system – the exact opposite has happened, because we instead collectively agreed to not participate in politics and just ‘follow the leaders.’ How can we blame ‘them’ for ‘abusing us’ if we all are participating and existing in the same reality? My suggestion: if you complain, rather take these words into consideration and start focusing on how to create solutions for the problems we usually complain about. 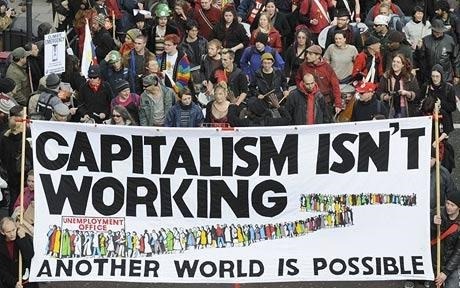 It is so that capitalism focuses only on ‘making profit’ without any ethics or major human development for the benefit of all intertwined in it, nor providing part of such profits to benefit the community from which the profits are being resourced from, which end up in the hands of a few that support each other as a minority in society, lobbying political actors to benefit themselves and generally wiping out the mess with the noble ideas that we can read ‘capitalism’ in its pure form intended, and that is still doable – but currently we don’t have such pure form of capitalism, but the corrupted version of it because, yes, we as human beings will always determine the nature of the systems and solutions we create and implement. What I suggest here that we all realize is that recognize all of us have enabled such scavenging-mechanism to work only for a few, because we have the belief that ‘there are no other options, this is how the system works, only a few are the fortunate ones and poverty has existed forever’ – this is the mentality that we are all responsible for perpetuating and embodying as ‘the way things have always been’ in our societies. This is what we have reduced our Democracy to. So, HOW to make such changes? It is very important to understand that we don’t propose the eradication of government as such, but we do emphasize on the requirement of new political parties that understand these basic principles explained above, where we can propose these considerations and information as the primary aspects to educate people about, instead of claiming any form of almighty power structure called ‘government’ to just ‘straighten things up’ and ‘make the system work efficiently,’ because ‘The System’ is in fact each one of us participating in it, and it doesn’t make sense at all to ‘Demand change’ which is no different to asking a god to come and clean the mess we blamed him for without realizing: we did it to ourselves. It sounds ludicrous because I see no government involved in the everyday relationships we form with each other, I see no laws directly being applied in our very own thoughts and decisions to follow our self-interest and not consider everyone’s interest at heart, we require to see within us to stop projecting anger and blame without. Therefore, it should also be clearly obvious by now that our laws, our current government, our current political establishment is only the reflection of our personalized self-interest that we’ve legitimized through a system called ‘voting’ – a popularity contest that we participate in within the belief that ‘it is our only civil responsibility along with paying taxes (paying the salary of those in charge) and that’s it.’ This is where we have all bitten the dust and it’s about time we understand what politics really mean at an individual living principle, instead of understanding it as a few that ‘take control of us all,’ which is how by such sheer belief and understanding: we recreate its own power and control by believing in it, even by fearing it. How can we fear that which we created ourselves? The reason why within the Living Income Guaranteed Proposal we suggest abolishing all personal taxes is because the sheer act of ‘paying taxes’ gives continuation and legitimates this relationship of ‘I pay YOU to Do the work for ME’ coming from the citizens to the government, and the government officials in such place make use of such payment and such power endowed onto them to their own benefit, which is not only ‘their problem’ but – we have to be self-honest here – it is everyone’s problem when we’ve also made of our only life purpose to make money, to live happily ever after and never mind the rest of the world. So, how can we blame those officials in the government for desiring and doing exactly the same that we do in our personal lives?? It doesn’t make sense and if we ask for transparency and integrity to government officials: we should begin with ourselves and predicate with being and becoming the example of what it meant to live by principles that consider everyone that will be affected by our actions and decisions – becoming part of and supporting the Living Income Guaranteed proposal is the first step to agree with this process of taking self-responsibility and becoming active participants in how we direct our lives, within and without. 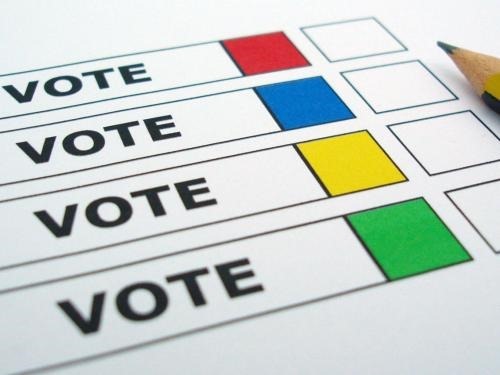 “Athenian democracy was a direct democracy, meaning citizens voted directly on the policies that would govern them. Each citizen could be drafted to serve for a year in the city-state’s law-making body, and all citizens were required to vote on new laws created by the body. These are the first steps for genuine democracy, which is not the power of ‘voting for the best’ or only ‘majority vote.’ As an example, we could vote for something that is detrimental for everyone, such as reducing the budget in education and because ‘the majority voted for it’ it could become a reality for everyone, which doesn’t make sense when we read it – but if we look at it: we’re already governing our lives by such flawed and misinformed majority contest popularity vote – and in terms of policy creation, not even that! Which is why voting in a genuine democratic system, should be choosing the ways in which we can create and direct our lives to an outcome that’s beneficial for everyone, not a person – and this is in terms of providing our living necessities, make businesses operate in a way that support the workers, support the community, provides higher wages, creates good labor conditions and overall development of high quality services and products to generate healthy competition – this is the least standard I am up to working and dedicating my life to, and this is what the changes within our current system should aim for – this implies integrating each one of us as part of the directions required in the system itself: the way we do things, the way we make business, the way we create new endeavors in any professional field we dedicate our lives to, the way we educate our children, the way we spend our time, the way we spend our money – we already know and have spotted the flaws, so who else can then take the point through a solution than ourselves. This will in turn start creating the real change: directing the sole mechanism of profit making schemes that the majority of businesses and corporations are running by, and integrate what is best for everyone within such equation, understanding that if we keep running this system within the sheer consideration of survival/making money/making the most as primary objective = we’re digging our own grave since it is not sustainable at all this physical reality that works within reciprocity, this means not only taking and taking and taking without giving anything back, and that’s basic physical laws and understanding of how an economy and ecosystem should work like. These are the reasons why I see that the notion of only ‘taking a Basic Income’ without further changes, further structural considerations to make such income part of the economy in a sustainable manner is doomed to fail, because all of the aspects of self-responsibility and our direct participation in the system to make all of these changes to make it work in a supportive manner are not yet considered, and we already are the evidence as humanity that a set of new rules or new constitutions cannot do the work by themselves: it is us that actively must make such change happen, one by one. Higher wages is to begin with something that must come along with the provision of a Living Income to everyone that does not have a means to make an income, meaning that no one will be left behind, poverty will be eradicated as everyone will have their human rights guaranteed – but incentives for workers and support for students will exist, because it is in our best interest to ensure that we keep progressing as humanity and create new jobs that were previously non-profitable, such as the environmental sustainability and educational system that will require many of us to begin integrating this new mentality, this new mind framework with which to consider ways in which we can all take responsibility for this world within a system where each one’s participation is accounted for. There is no way around this – the technology we have, the facilitations with data bases and overall networking enables us to be aware of each other at a level that could not have been possible even 30 or 20 years ago, the time is now and it’s best to focus on creating solutions rather than demanding or protesting about them. Becoming active beneficiaries from the nationalization of resources – which means: we are directly supported with the profit made from the production and commercialization of the resources we are entitled to as a human right in the form of a Living Income – is yet another way in which we empower each other while at the same time integrating ourselves in the organizations and corporations that we haven’t yet been a part of, not only to benefit from it, but to also have the ability to make decisions and suggestions that benefit everyone – after all, all business and corporations are always creating goods and services that we all need and consume as a society, therefore it makes sense we are also informed and participating in how they operate and function. These are just a few points to consider within the new understanding of what Power of the people to the people implies, as a real meaning of Democracy. So, it’s time to progress, it’s time to innovate and most importantly, it’s time to change the ‘demanding’ mentality into a creative and self-responsible one, where we stop ‘asking for change’ and we instead create it, become it by realizing that the power we have in our hands is ourselves: not those we only vote for, and instead become part of politics as well. The human is the real capital, so let’s use our skills, time and effort to make this work for us all. “A different system could indeed be created if only the resistance of the few and the ignorance of the many could be overcome. The financial system as it currently stands, indeed the whole economic and social way of life that we have been taught – erroneously – is the only one possible, is profoundly immoral and completely fails to provide adequately for the needs of of the vast majority of Earth’s population. A Guaranteed Basic Income is a very good start but that, in my opinion, can only be a beginning. And not just for our economic system but the very way in which we view the world and our attitudes to both other people and the environment itself needs to change too. Thumbs up to you and this video! ” – YouTube User view1st comment from the video Not Enough Money for a Living Income? For now we won’t go as far as discussing how ‘government’ is an euphemism to old-age monarchs, emperors, dictators and plutocrats creating ‘the laws and ways of the system’ that we simply complied to and have recreated for our entire history as human beings. But, isn’t it gullible to call a document a ‘Bill of Rights’ when it is a set of rules to ‘protect yourself from infringement’ which means they exist within the premise of living under a constant threat of being a ‘victim’ to the ‘the abuse of power’ and among fellow enemies? Yes, and it astounds me that this is not yet realized as such. Some patriots may rejoice in reciting The Bill of Rights, some others may not even be aware of them. 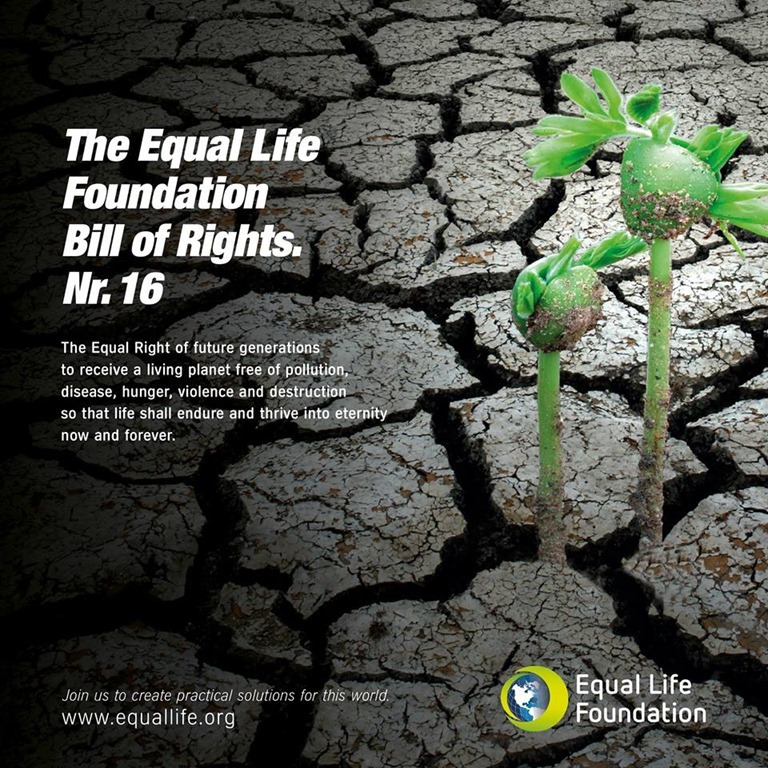 But the fact is that a genuine Bill of Rights should not be founded upon this conflictive and antagonistic premise that leaves all genuine Fundamental Human Rights aside, such as the Right to Life, to have a Living Income to live in Dignity, to have access to Universal Healthcare, to have a House, to have Water, Clothes, Food, Education, Work and the benefits that come with such balanced physical wellbeing which is being able to co-operate in a functional society that maintains these Rights as the foundation for any form of societal-management – be it a government, a cooperative network, direct democracy, etc. None of these essential physical elements to live in dignity are mentioned in a ‘Bill of Rights’ and many could claim that this is so because we all are granted with the Human Rights as promulgated by the United Nations… well, they look great on paper, but they are certainly “not worth the paper they are written on” as one wise man told me, and it is so, because they have never been implemented at a governmental level which means, mandatory level in any nation of this world –therefore they are ‘dead words’ because without money to finance the provision of our right to life: those words, our human rights, cannot be applied into reality. 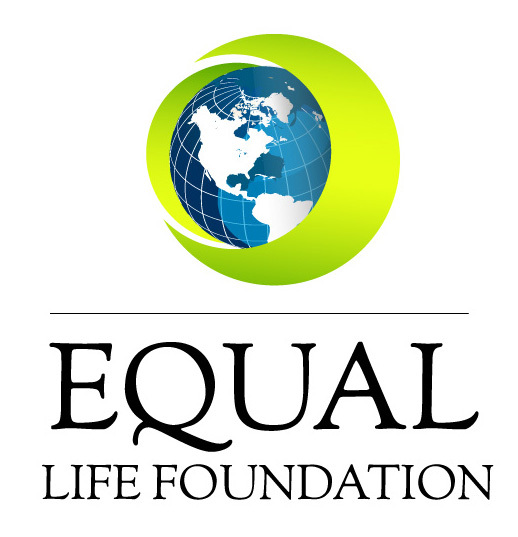 Living Income Guaranteed by Equal Life Foundation is certainly not only ‘giving money to everyone,’ but the economic and political foundation to make of it a sustainable provision of our Right to Life. 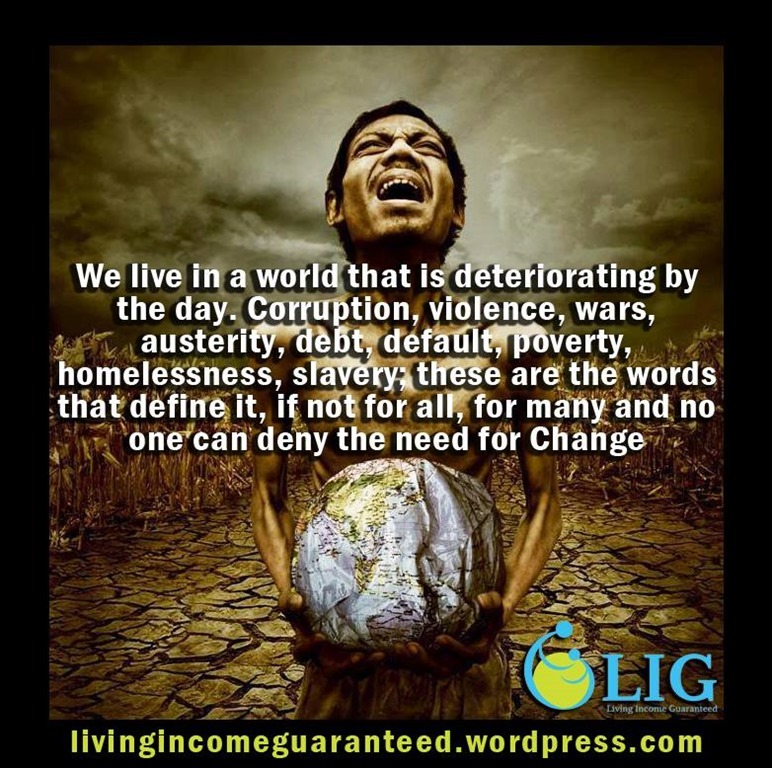 This is also why LIG is also based on a new foundation for human principles and values written out in a whole new Bill of Rights, declaring the recognition of Life in Equality, which means that the provision of a Living Income is the way to ensure that no one ever goes hungry, homeless, in debt, healthcare less, jobless or resorts to crime as a result of not being granted their right to life in the form of a Living Income Guaranteed. Providing our Right to Life through Money with a Living Income is the very first step to get ourselves as humanity back on the first track, the very first stone we missed in our so-called ‘evolutionary process,’ which can’t be actually so when we spend billions of dollars sponsoring wars, explorations to mars, exploitative world-sports reunions, propaganda for consumerism, sports/celebrity contracts, bailing out banks, inflating an air-backed money making system, bribing MP’s/congress people, building nuclear weapons – or waging wars to ‘look after them’ – scientific diversion, fracking horrors, droughts, invasions in the name of ‘democracy,’ financial scams on education and the list could go on, unfortunately, endlessly –we all are equally participants for allowing this and no, it is not yet ‘too late’ to do something about it – you can in fact begin by clicking on each term above and reading further to see the amount of money that is wasted, misused, misdirected or amassed in the name of profit – not human progress to support life on Earth. 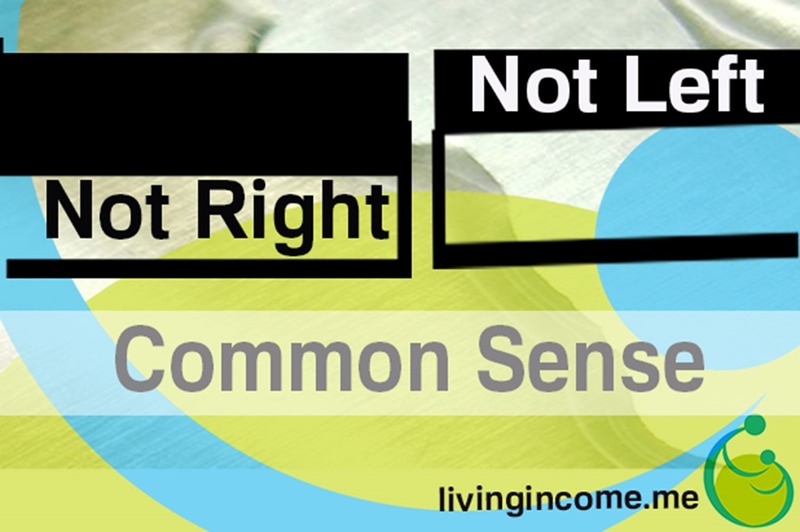 Also Living Income Guaranteed is the very first step to get ourselves to have a level of support that will enable everyone that is currently having no time to investigate solutions to our economy – due to having to be working 2-3 jobs to be able to make a living – have sufficient time to educate ourselves and each other on further solutions that will slowly but surely also have to take place as a natural progression out of our current inflated-as-a-bubble economic system, so that we can stop inflating our reality and start working with the real capital which is ourselves. human beings, working together to make the best use of the resources we have available and our intellectual and physical capacities to create a system that supports and enables life on Earth. Inequality can be reduced when we start regulating the terms that don’t benefit the majority in our current capitalist system, it is possible. 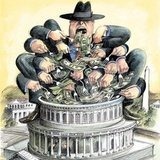 “The problem with Fascism or communism or any other type of system, is that corruption is always present. You cannot have a pure type of system as it is defined because you have leaders that abuse the system. We have been conditioned to think in either black or white terms such as having to define a system as being the extreme left or right, blue or red, black or white, communist or capitalist, and as such, we’ve remained separated from simply considering how we can fund our right to life – and instead, have remained divided and conquered to allow a few to take the control over the ‘irreconcilable differences between the people’ which is part of the reasons why we still can’t agree on one single point as the definition of common wellbeing, because we are taught and indoctrinated to always affiliate to one side of the polarity as part of our identity, as who we are and what we stand for, what we believe in. It is by no coincidence that there is mostly a bipartisan structure in countries giving the illusion of choice and diversity, as this is how we have remained divided and conquered, by opposing one another through ideologies, beliefs, charismatic leaders, ‘exceptionalist’ ideologies that leads to supremacy and ultimately a real abuse of power – but, it’s not to see ‘those in power’ as the ones to blame, but rather let’s point our finger back at each one of us that have allowed this creation, abuse and corruption of our lives (our power) as it exists now. I agree with this comment I placed at the beginning, which was placed in one of my videos about how some tend to create tags for political movements such as ‘fascism’ or ‘communism’ when one talks about providing a Living Income as a guaranteed human right to be supported to live and have higher wages as well. A system by definition is a structure with defined processes and functions that we have designed and created, as the system works no different to how we make decisions individually: always – or most of the times – seeking after our own interest. It is not as if our current world-system including how government operates, how our monetary and banking system operates, how our education system operates ‘came alive’ as a sui generis godly creation: we have all co-created and participated in the existence of this system as is, and that’s certainly the first point of responsibility we have to it, just like a child that we have allowed to grow with only the influence of a few, without providing any guidance or support by being ourselves the examples of how to be the best human being one can be. This is how and why the government and our world-system is the image and likeness of our denial to collective responsibility, to take care of our own wellbeing. Or better said: why is corruption possible in a system? A system in itself should be perfect, just imagine if your browser would suddenly act in self-interest and decide that today it doesn’t want to open up your email because it would like to take some time off – or even nature, birds don’t take the ‘day off’ to not sing every morning at the same time – both your computer and nature are also systems and we as human beings are also functional systems that we have actually corrupted through our personal desires, wants and needs above this essential functionality to keep an optimum system operating. This means that we’ve made the system corruptible due to this, we have accepted to give way to our desires for more money/more power and as such more protection for a few, and have always pondered our self interest above everyone’s interests as well, even if such self interest means remaining opposing a system that we all collectively created. Back to the point. The question is: have we looked at ourselves in the mirror when pondering ‘Why are our government officials ‘greedy and blame them for the ills of the world?’ And why they follow their own interest above the collective wellbeing? 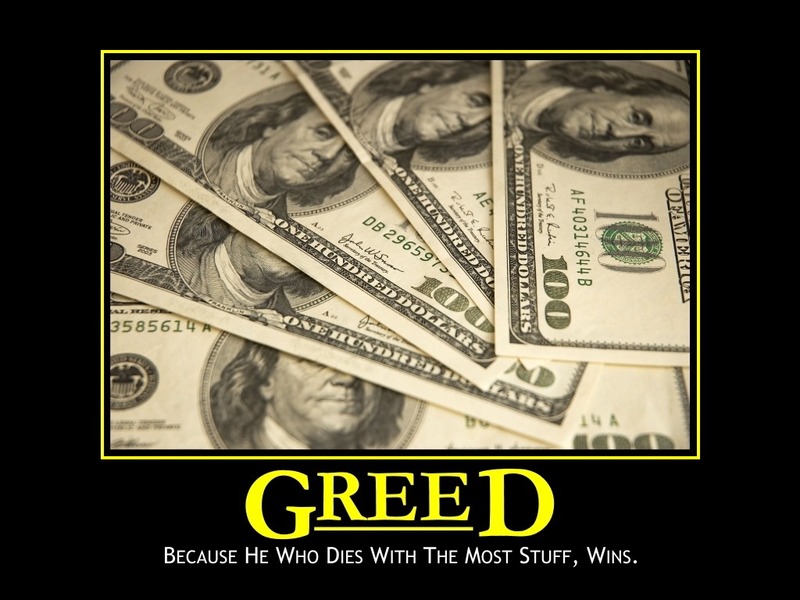 Greed is the foundation of the so called ‘American Dream’ that our current capitalist system has been founded on, one that is entirely divorced with the notion of common well-being, since for someone to ‘have more’ a few others have to have less in order to keep the ‘less wealthy/poor ones’ working for the ones that have most of the money. And so, we have all collectively legitimized this current state of affairs, which I would say is actually a fascist one, where we have allowed our self-interest to dictate about collective common sense and wellbeing, so it’s not just a term to name some dictators of the past since each one of us exists as such characters the moment that we only seek to do things our way, and follow only our own interest, our own comfort which also includes the comfortable zone of arguing ‘there’s No solution to this world, to humanity’ or ‘we can’t change, we’re born this way’ – these are ideological weapons of mass disruption, to believe we are ‘doomed by the system’ which is in fact our creation, our habits, our desires, our needs made as ‘the system,’ it is our reflection as human beings. Yes, it’s in each one of us, and it is actually a key point to understand in order to be able to create the perfect transparency and integrity that we often ask the governments to be or become for us – But, where is our own integrity? Do we also participate in this constant desire for more money even if we already have enough? Do we constantly seek to escalate our social-status? Do we always dream of how nice our lives would be ‘if we had all the money in the world and not have to work and have everything being done for us? The answer is, yes. This only means that a few have turned such desires into their reality, while the rest of us still keep them in mind – sometimes secretly – and only complain about those that did manage to get it all. 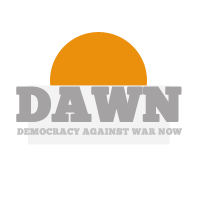 That’s how revolutions or dissident groups mostly stem from an actual desire of power, instead of a conscious decision to reform, restructure and change the ways in which we operate the system as a whole, to the benefit of everyone. This is also how the infamous appealing protest movement ‘the 1% vs. the 99%’ only points out the consequential outflows of our original sin, which is having disregarded each other as living beings with the right to be supported unconditionally to live in the best sustainable manner. The problem is not only the accumulation of wealth and its distribution, but how we have created and recreated the same hierarchical system that requires a lot more than just ‘removing power from those in elite position’ or ‘shutting down some corporations’ since such hierarchical mentality, the value systems and personal preferences are embedded within each one of us as the way we think and relate to one another, as the belief in the forms of of ‘added value’ which is also why we have remained divided and conquered ‘asking’ for change instead of becoming it. Yes, Democracy as the noble illusion of people deciding the course of their collective wellbeing has never really existed, which is why any form of direct democracy has either been misused/corrupted or superimposed by so-called representative democracies, which in effect lose the decision-making power each one of us have. We most certainly have to collectively become our government – not just a few that ‘have all the power’ as we’ve allowed it be thus far – and as such, Direct Democracy is part of our main proposals as well because we agree that the current mostly bipolar political establishments in every country, create the belief of choice and diversity, when in fact the agenda is and has been the same for ages: benefiting the few while disregarding and leaving the majority out. So, it is about time we step in into politics with the genuine realization that if we unite – and stop being divided and conquered – within a single outcome that is best for all, we will achieve the necessary strength to better the system, we can’t continue being divided. The way to unite is to create new political parties around the globe that can advocate a Living Income Guaranteed system as part of each Nation’s plan to stabilize their economy, expand the ‘power structure’ to every person as well as ourselves, the people, becoming the direct decision-makers involved and participating in the creation of new structural reforms that can make our economies sustainably strong and competitive, as well as enhancing everyone’s working and living experience. So, to begin with these and other structural changes in the system, we first require to provide money to people that have non and give higher wages to people that work, to provide a Living Income to everyone living out of miserable pension plans or topped with great debt, which psychologically makes a human being unstable, unable to think properly, as fear of not having money gnaws your entire being every day that your next meal is not secured. Providing the security and right to live will enable us to empower each other with time and resources to best educate ourselves about how the system operates and where we can suggest and establish changes, collectively. Do we want to stop this crime we are collectively committing against ourselves? I say, yes, we do – but we have not yet gathered to establish a solution of How to do so. This is why Living Income Guaranteed is a plan of immediate application to support everyone to get back on their own two feet, to eradicate poverty, to improve one’s education, skills and productivity with higher wages and at the same time, and letting those currently in power know that they too depend on the majority and as such, must support back with better wages, better labor conditions and more share for collective benefit, since this is what human rights are all about. We all can do this, for sure – and let’s keep in mind that money in itself is Not the problem – it is about us now gathering to create, promote and establish solutions through fresh new political parties created by each one of us seeing and agreeing with the common sense of providing each other the right to life and secure our livelihood to then, have the time, resources and sufficient education to understand the problem and address the solutions that we should all collectively work on as a priority in our lives. Change won’t happen overnight, but it is already starting here, a solution that addresses our right to life as human beings and our ability to participate, get involved and change how the current system operates, step by step. Not Enough Money for a Living Income?